With five constructors and three tyre manufacturers running neck and neck, the outcome of the 24 Heures Motos is anyone’s guess. A look at the favourites to win the 41st edition at Le Mans on 21 and 22 April. Following a succession of mechanical breakdowns during the race despite very promising tests, SRC Kawasaki too is openly seeking the 24-hour win. SRC put in hard work and a lot of riding over the winter. ‘Each of our race engines will have done at least 1,500 km to test the reliability of every single component,’ says team manager Gilles Stafler. Randy de Puniet, Jérémy Guarnoni and Mathieu Gines, the Kawasaki #11’s trio of riders, are well up to the task of conquering the top step of the podium. The Bolliger Team Switzerland trio – Roman Stamm, Robin Mulhauser and Sébastien Suchet – can also be relied on to fly the Kawasaki colours with panache. Like Yamaha, Honda has two top-tier line-ups in the running. Honda Endurance Racing made its return to the podium after another 24-hour race – the Bol d’Or – last September. And now Sébastien Gimbert, Grégory Leblanc and Erwan Nigon are targeting the win at the 24 Heures Motos. F.C.C. TSR Honda France’s rider trio – Freddy Foray, Alan Techer and Josh Hook – have exactly the same objective. With 3 machines in the Top 5 at the finish of the 2017 Bol d’Or, BMW offered spectacular proof of its reliability and efficiency. The runner-up at the Bol d’Or, Wepol Racing by Penz13, has put together a promising line-up featuring two British Superbike riders (Christian Iddon, who finished 7th at the 2017 BSB, and Michael Laverty, previously spotted riding for Honda TT Legends and Yamaha YART). They will share stints with Danny Webb. Another BMW team that did well at the Bol d’Or has also hired from the British Superbike ranks. NRT48-BMW Motorrad, the new name of Volpker NRT48 (now a factory BMW team) has a line-up comprising Peter Hickman, who was 4th past the finish line at the 2017 BSB 2017; Kenny Foray, Lucy Glöckner, the heroine of the Bol d’Or’s edge-of-seat finale last September, and Stefan Kerschbaumer. Another S 1000 RR to look out for is Mercury Racing’s (as Czech team IV Racing is now known), ridden by Karel Hanika, Jakub Smrž and Sylvain Barrier who is back on the endurance circuit. Although forced to withdraw at the Bol d’Or, Tecmas remains a BMW-mounted contender, with riders Julien Da Costa, Camille Hedelin and David Perret. 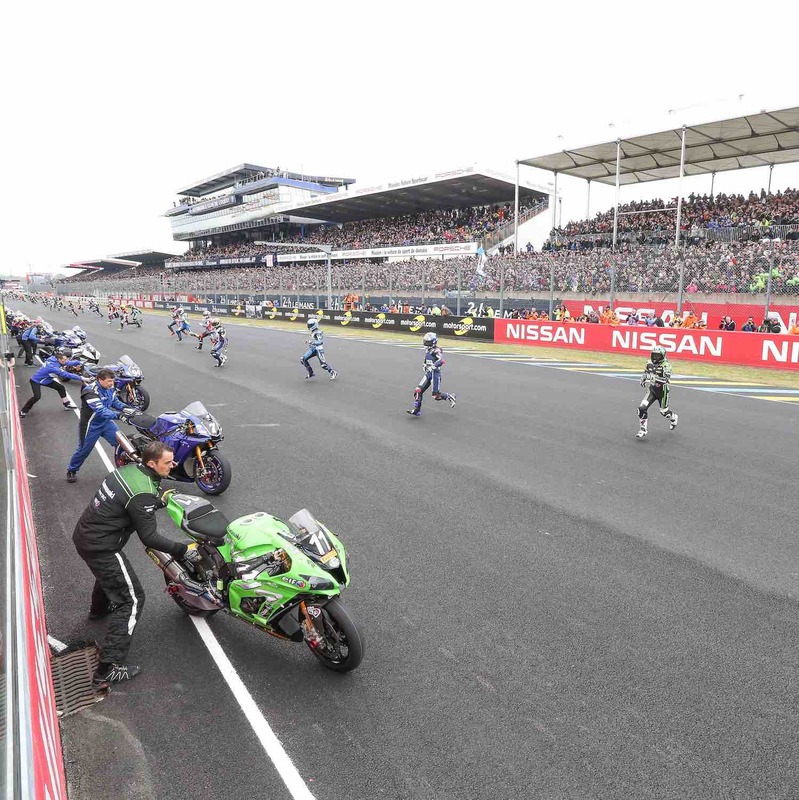 The first official tests of the 24 Heures Motos at Le Mans will get underway at 10 am on Thursday 19 April.